American Rock Band 3 Doors Down have been added as the final artist to join Chris Stapleton, Kid Rock, Larry The Cable Guy, Luke Bryan and Travis Tritt to celebrate with Charlie Daniels at his 80th Birthday Volunteer Jam on November 30 at Bridgestone Arena. 3 Doors Down, a Grammy Award®-nominated multiplatinum Mississippi rock band known for hits like “Kryptonite,” “When I’m Gone,” “Here Without You” and more will join Daniels on stage for what will be remembered as one of the best Volunteer Jams to date. Tickets for the much anticipated event are on sale now at all Ticketmaster locations and the Bridgestone Arena Box Office. Ticket prices start at $25.00. "I am extremely humbled and excited for this year's Volunteer Jam. I think the fans are going to get a great variety of music from rock to country to southern rock with this stellar lineup, which reminds me so much of some of the early 'Jams' that we held at Municipal Auditorium," says Charlie Daniels. "We are also going to be raising some well-needed money to continue our support of the Veterans through the Journey Home Project." 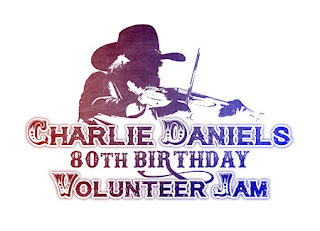 “The Volunteer Jam has been a staple of the Charlie Daniels Band’s career since 1974. We’re thrilled to be able to use the platform we’ve built through the years to give back to the men and women who give so much of themselves for us, our veterans. This is a culmination of wonderful friends, hard work and great music that is shaping up to be one of the best Volunteer Jam’s to date!” said David Corlew, Charlie Daniels’ manager and co-founder of The Journey Home Project.